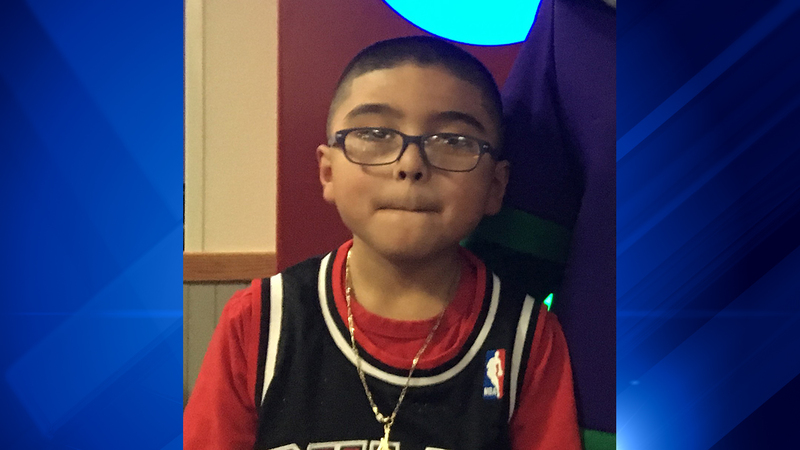 AURORA, Ill. (WLS) -- An 8-year-old boy was fatally struck Monday evening while crossing the street with his sister and grandfather in southwest suburban Aurora. Police and firefighters responded just after 7:40 p.m. to a report of a fatal crash involving a young child in the area of Lake and Plum streets. As the group crossed Lake, the boy and his grandfather were hit by a southbound vehicle. Witnesses told police the driver did not stop. A short time later, a vehicle matching the description of the one involved in the hit-and-run was found parked on a nearby street, with heavy damage to the front end. Witnesses told police they saw at least two people get out of the vehicle and saw one of them run away. The boy and his grandfather were transported to the hospital, where the child was pronounced dead. The boy was identified as Izaiah Lopez. An investigation is underway. Anyone with information about the hit-and-run or the driver should call Aurora police at 630-256-5000.